Hello everyone welcomes to Aviation Dreamer. In today’s article, I am gonna writing on Airport Ground Staff responsibility. Yes, the topic is The Responsibility of Airport GSA/PSA/CSA – In Details. So, if you want to start your career in ground staff then read this till the end. 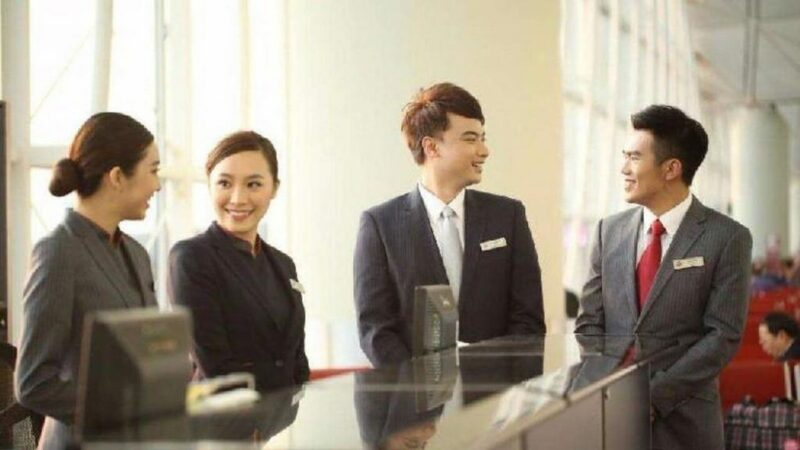 While cutting new or developing markets in the current market or cutting costs, airlines opt for a general sales agent (GSA) in some common areas and places as their representatives, so that they can not afford services and products Can present a complete set of. Therefore, GSA plays a very important role in the aviation industry. GSA’s responsibility is to provide or hire the international standards office, and pay towards its maintenance and maintenance, skilled and skilled employees and pay their salaries, and also pay local and other taxes. In short, the full operation of the airline is operated by GSA. Due to its understanding of the market, GSA is responsible for promoting sales and developing market strategies to achieve the goals set by the airlines. GSA promotes sales through marketing and commercial activities either through self-developed and sold under the guidance of the airline. GSA has to fulfill both airlines on both sides and with the right services on the other side of the airlines on both sides. A GSA will generally sell more than one airline products. Call center – telephone sales activities. Ticketing – automated / manual. Change dates / upgrades / lost tickets handling. FIT and group bookings inquiries. Handling inquiries from final consumers. Internet / WEB service desk. Treatment of AD / ID and PEP tickets. Client claims – including delays and wrong customer remedies. Downgrade / Fault Boarding Compensation. Delayed / lost / damaged baggage claims. State authority claims – treating illegal entry of travelers without a visa/resident permit, public duty. Field sales and telephone sales. Yield improvement through client segment marketing. Personal contacts with corporate accounts and tour operators. Establishment/development of quality package tour programmes. Direct sales to travel agencies for improving product awareness. Promotion through specialized corporate travel agency chains and company implants. Participation in special programs in cooperation with tourist boards/tour operators/airports etc. Special seminars/workshops and get-together events. Fam. trips / educational travel. Corporate web design and management. Regular financial reporting and settlement. Co-ordination, organization, and execution of all authorized payment transactions with electronic banking. Flexible revenue settlement for varius mannar (monthly / fortnightly / weekly / daily). Local tax and legal consulting facilities.